Former world champ and British superstar Chris Eubank is certainly an interesting person; perplexing even – he always has been. 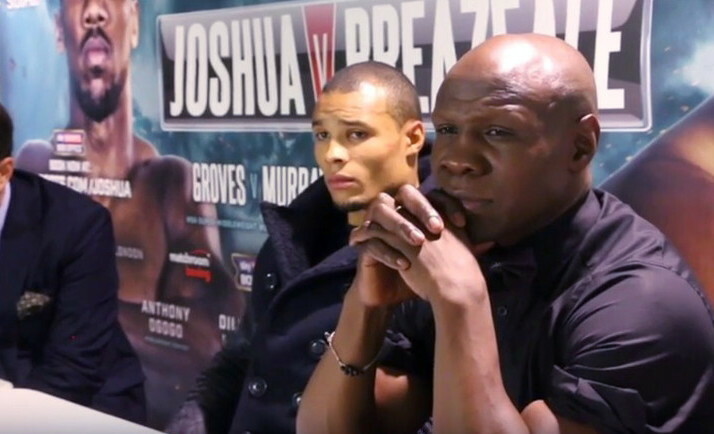 Long retired, the vocal, eccentric guiding force behind his son, Chris Eubank Junior, gave an interview with BBC Radio 5 yesterday. The main subject was quitting, or not quitting. Eubank, a fighter who certainly went beyond the call when it came to proving his toughness, mentally and physically, during his thrilling ring career, said again that quitting is the ultimate sin. Fighters, Eubank insists, do not have “the right” to quit in any fight; that the referee is the only man who can stop a fight. Inflammatory words to be sure. Is Eubank being too macho, too lacking in compassion and too quick to label any fighter who cannot go on in a fight as a “quitter?” Again, Eubank himself was as tough as they come – being stopped just once in his career, when he was pulled out at the conclusion of the 9th round of his return war with cruiserweight Carl Thompson; Eubank’s eye hammered shut – but can all fighters who “quit” be tarred with the same brush Eubank is holding? Eubank clearly thinks there is. Let’s just hope this bravery, this complete unwillingness to quit or to be involved in quitting, never comes back to haunt the former champ in the case of his own son. Eubank Junior, who faces Arthur Abraham on Saturday night, is a chip off the old block, but even he is susceptible to being sufficiently hurt enough to need saving during a fight. But if Eubank Jnr ever does find himself in serious, awful trouble inside the ring, what will his fate be if his father is the man holding the white towel? Let’s hope we do not find out.